We have been very busy with the house renovations in the past ten days. We are at the stage where we have to decide on things such as paint, lights, trim, sinks, taps and doors. It’s been interesting researching all of this. Good thing William is knowledgeable and has helped make good decisions. Big ships come into the harbour during the spring to unload gravel. 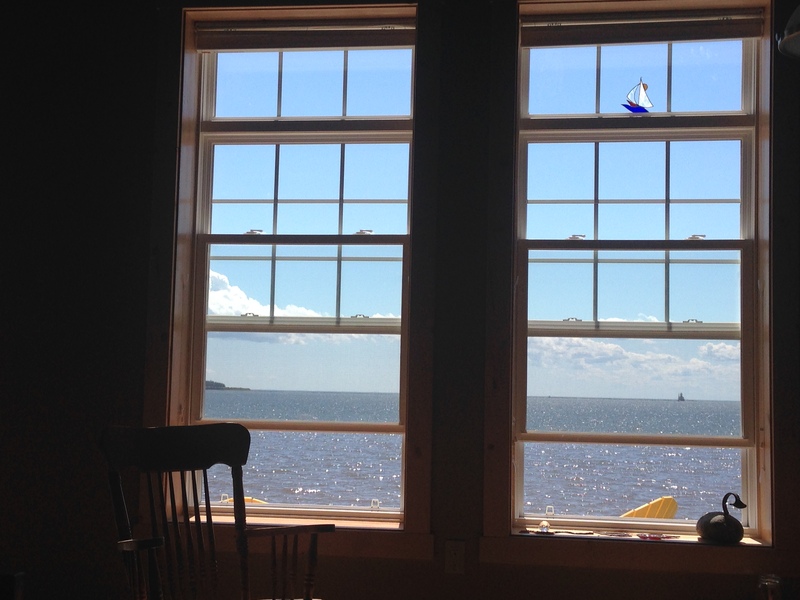 PEI has no gravel so it all has to come by boat. Once the ship arrives, all the different companies show up with their trucks and haul it away. It is a very efficient process and the ship is usually unloaded within 24 hours. Dennis says that the price of gravel per truckload is the same as we paid in Ontario where the gravel pit was about 10 km away. Last February during a storm, a City of Summerside snowplow hit the sign that was in the middle of the parking lot and did quite a bit of damage. The sign really was in the middle of the parking lot and I am surprised that more people did not run into it. The city’s insurance paid for the damage so we opted for a sign right on the building for Allan’s business Live Techs. The insurance company also paid to take away the sign in the parking lot but we couldn’t have them do this until we were in Summerside because of the huge cement base. We didn’t want a vehicle driving over the base and wrecking their car. On June 22nd, Sign Station arrived and took the sign away. Yay! If you check on Google Street View, you’ll see what I’m talking about. Dennis rented some machinery to get rid of the cement base. All that is left now is a little pothole. We have arranged for it to be paved over as well as another job near the deck. Check the pictures below. 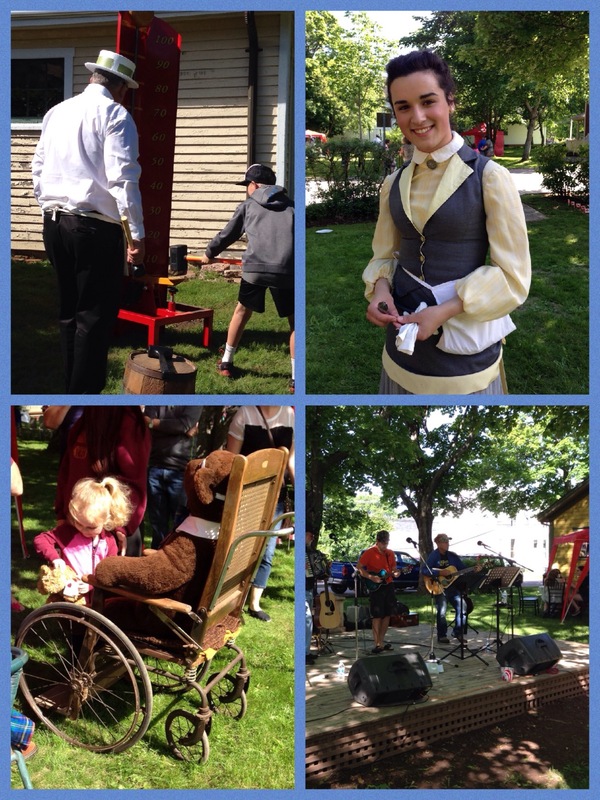 We went to an old fashioned carnival last Friday afternoon. It was the last day of school so between 4:00 and 7:00, the City planned all sorts of activities for the kids. There were all sorts of old fashioned games and the volunteers were dressed up in period costumes. There was live music playing and treats for everyone. It was a lot of fun! The fireplace is done. 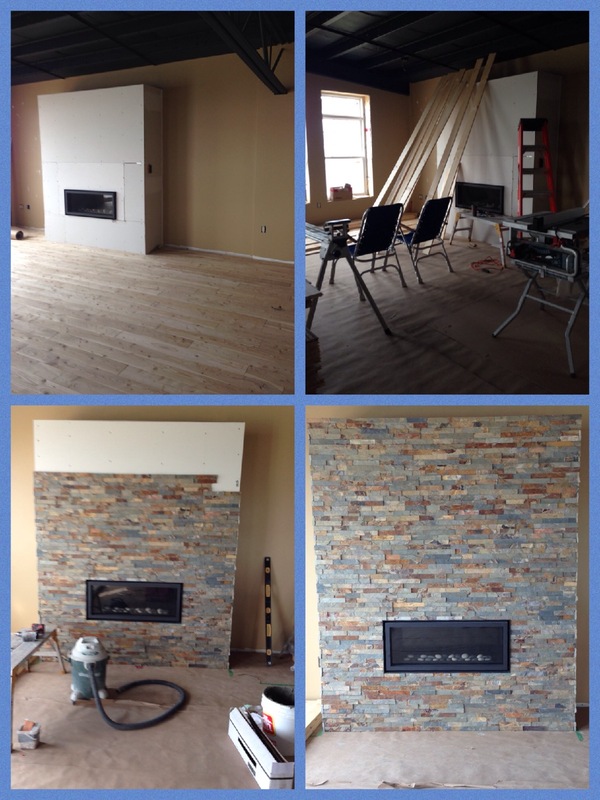 Chris Blaquiere – the Tile Guy – had two of his crew members complete all of the stonework for the fireplace. It looks great! One of the tile workers is also a musician. His name is Nathan Wiley and he used to tour all over Canada opening for Blue Rodeo. 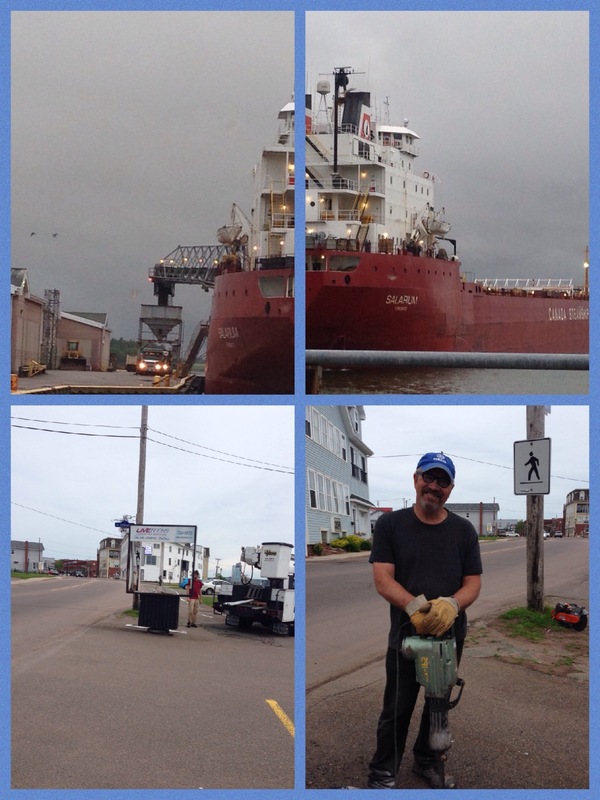 He’s back in Summerside full-time now and does beautiful work. He’s a man of many talents. He’s got songs on iTunes, so just search for him there as well as songs on YouTube. Here’s a link to one that I like. So, that is all the news for now. Canada Day is coming up and I think we have a good location to watch the fireworks. We will see!